Blackberry Passport Challenge – Accepted! 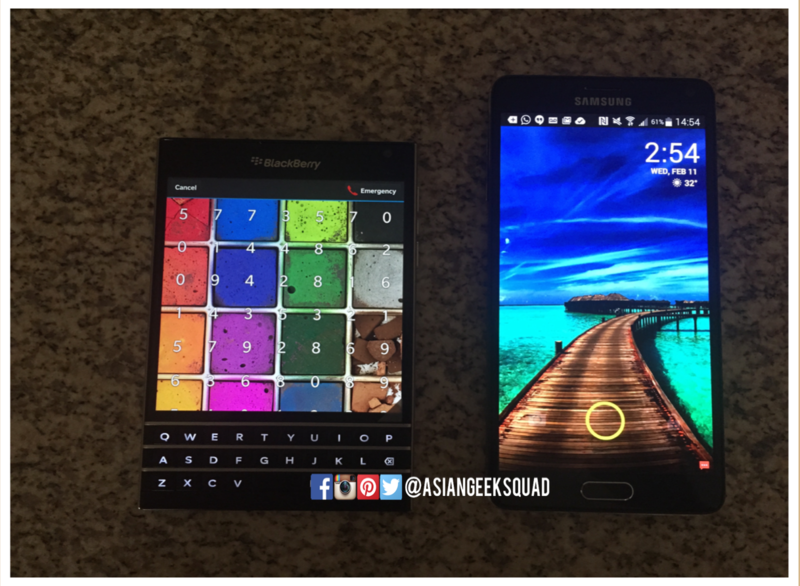 You are at:Home»COLUMN»Blackberry Passport Challenge – Accepted! Do you remember your first smartphone? For me it was a Blackberry – so Crackberries always have a place in my heart. Now that it is 2015, I thought it was time to give Blackberry another go, with the release of their new phones the Blackberry Passport and the Blackberry Classic – both running Blackberry 10. I switch from a Samsung Galaxy Note 4 to a Blackberry Passport and will be giving all of you updates, and tips and tricks into managing your life better with the Blackberry. The Blackberry Passport is first-rate. On paper, the device is awesome, and when you feel it and play with it, the Passport feels like a premium device. The specs on the Blackberry Passport are first-rate. The battery life is advertised to be 30 hours (3450 mAh battery). The Passport also has 3GB of RAM and 32GB of onboard storage (similar to the Note 4), with a Snapdragon 801 and Adreno 330 (both similar to the OnePlus One). The camera clocks in at 13MP with 1080p recording capabilities and the front camera clocks in at 2MP with 720p recording capacity. You can use this phone anywhere in the world with bands: FD-LTE 1, 2, 3, 4, 5, 7, 8, 13, 17, 20 (2100/1900/1800/1700/850/2600/900/700/700/800 MHz) HSPA+ 1, 2, 4, 5/6, 8 (2100/1900/1700/850/900 MHz) Quad band GSM/GPRS/EDGE (850/900/1800/1900 MHz). I will keep you updated with my experience with the Blackberry Passport! Stayed tuned for more! P.S. Have you entered our February giveaway?